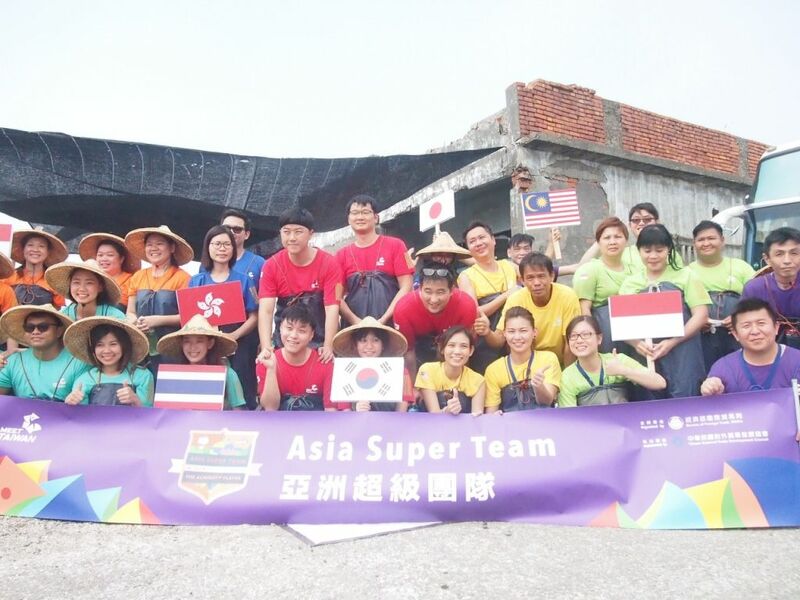 Organised by MEET TAIWAN, which is sponsored by Taiwan Bureau of Foreign Trade and implemented by Taiwan External Trade Development Council (TAITRA), Asia Super Team is an international enterprise contest that aims to attract more MICE (Meetings, Incentives, Conferencing, Exhibitions) activities to Taiwan. In its third year running, the award-winning campaign is open to corporate participants who first, had to go through two months of online contest. 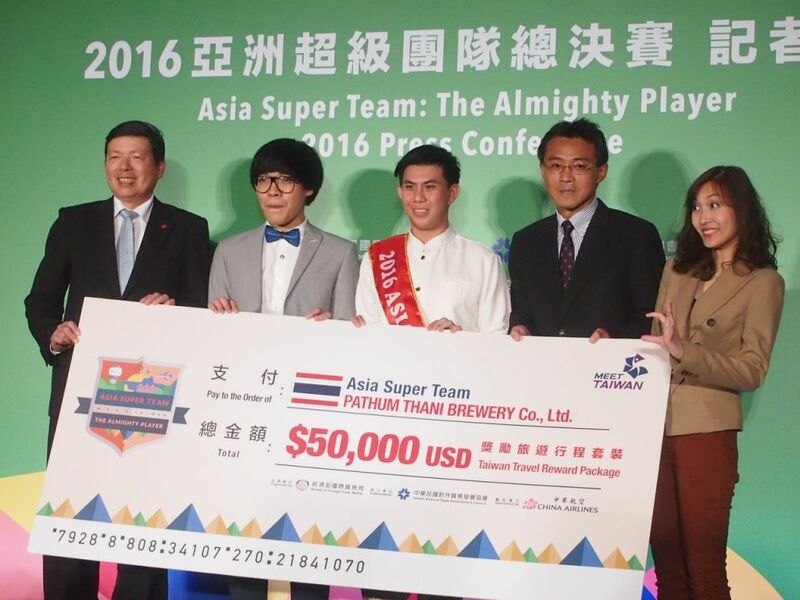 Seven finalists from seven different countries emerged from the online contest and were flown to Taiwan to compete in the finals of the competition which took place over three days in different parts of Taiwan. 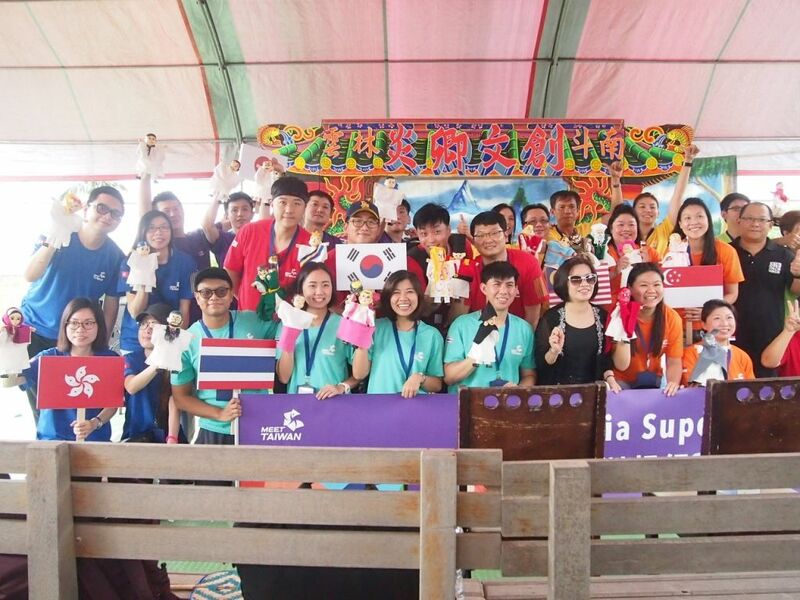 Each team is made up of 4 members and they pitted their brains and strengths against the other teams in challenges that tested their flexibility, creativity, agility, cooperation and intelligence. 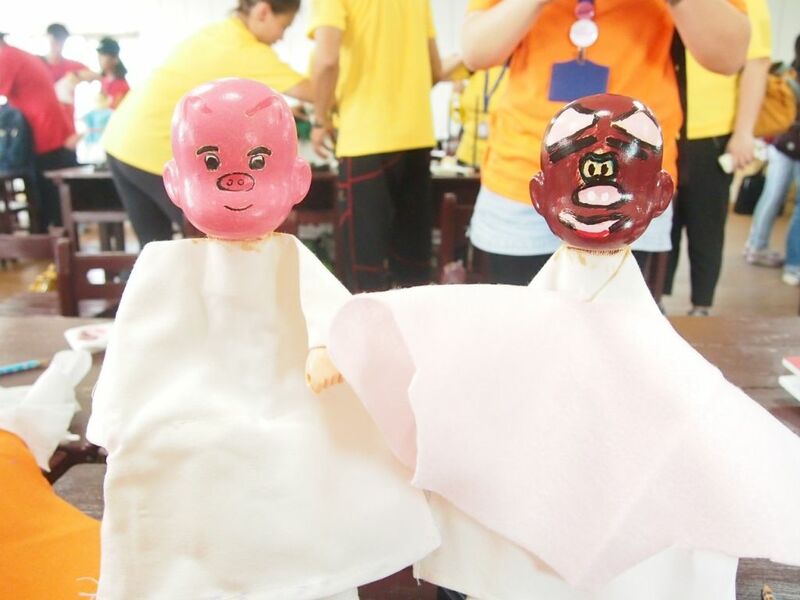 Day One brought the participants to Yunlin in Taichung where they were treated to a tour of a puppet house and tried their hands at painting their own puppets. 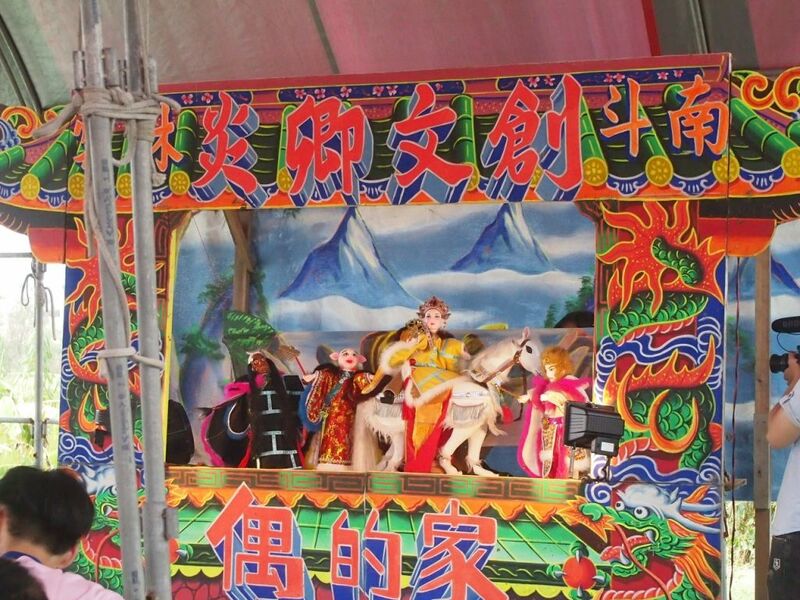 They were then led outdoors to a sheltered area where puppet shows are usually performed. A nine-minute puppet show was showcased and the participants were then told that they had to come up with their own puppet show using the puppets that they had just painted. The participants made use of the little props that they had and spun out convincing and entertaining storylines, based on the characters represented by their puppets. After a sumptuous lunch, the participants embarked on a journey to learn how to make coffee. It was definitely not an easy ride as they raced to be first to get to the coffeehouse, make a cup of delicious coffee and bring the cup of coffee back to the starting point. The participants arrived one after the other back at the Bee Museum. Little did they know what they were in for. 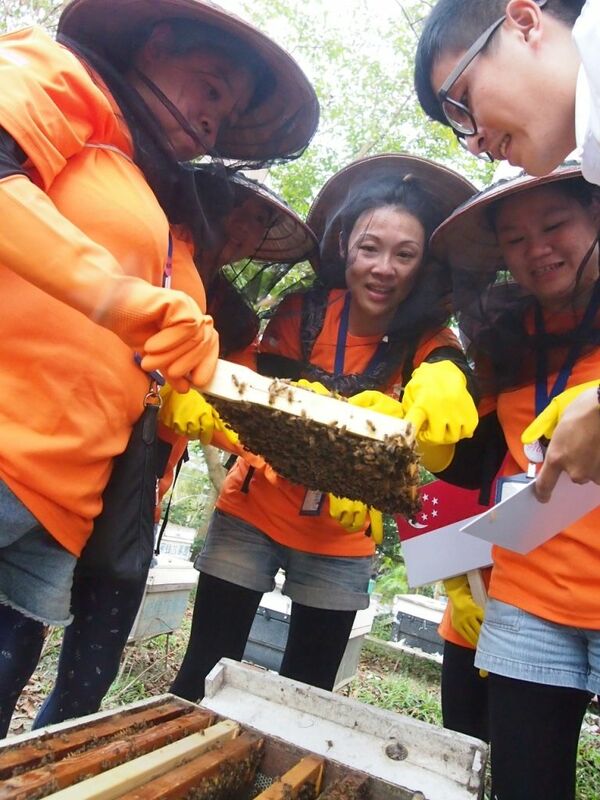 After an educational tour around the museum, the participants donned beekeeper gears and stepped into the battlefield where thousands of honey bees resided. 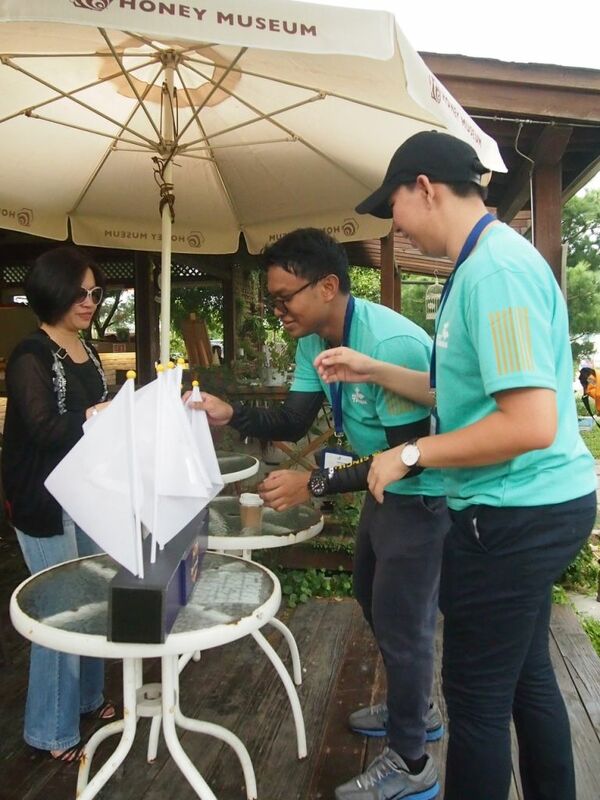 The participants had to identify different bees and elements of a colony to score points. It was so scary and thrilling at the same time! An intense and draining first day was concluded with a delicious dinner at a Hakka restaurant. Day 2 began bright and early as we set off on a long journey to Changhua. When I opened my eyes from my nap, I was shocked to see that I was in the middle of nowhere. There was nothing, just plain wilderness, except for a fish farm. 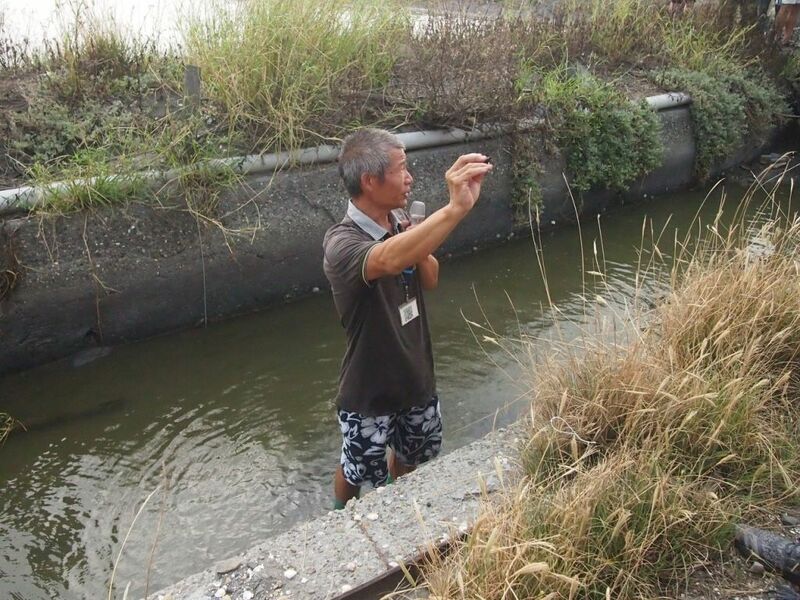 The owner of the fish farm told us about the history of the farm and how things work around here. 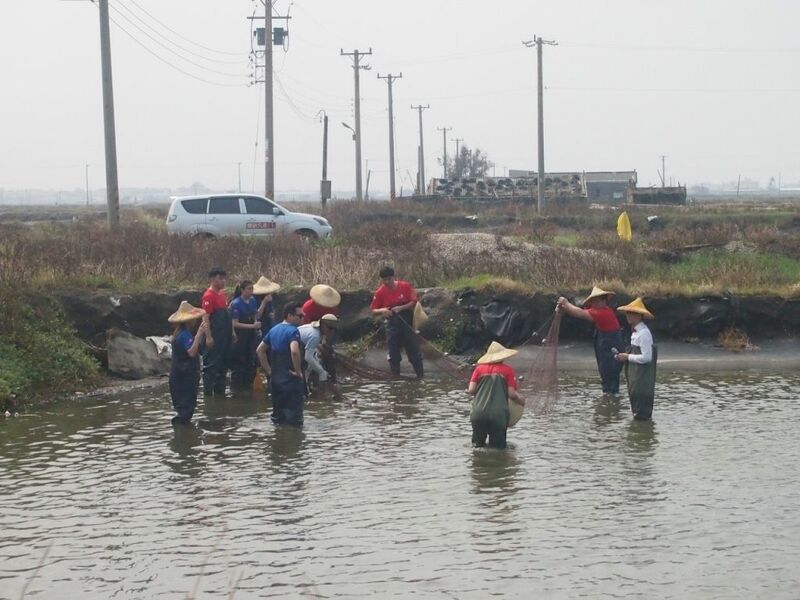 From beekeepers to fishermen, the participants were seriously adaptable ! The Cooperation challenge required two teams to work together to catch as many fish as they could. This was the first time that I witnessed so many fish flying in the air! One group managed to catch 27 fish! What a feat! 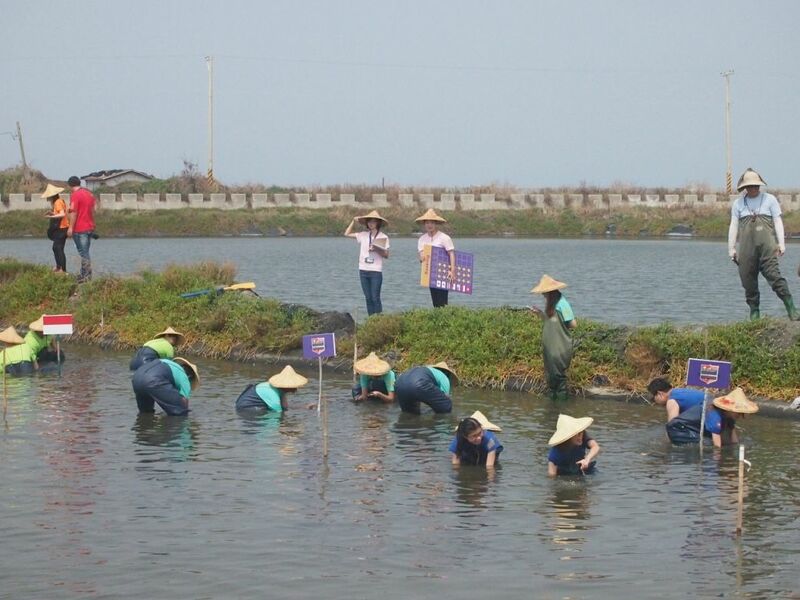 Next, the participants were surprised with a clam-picking competition where they tried to pick as many intact clams as possible from a bed of mud, using their bare hands. 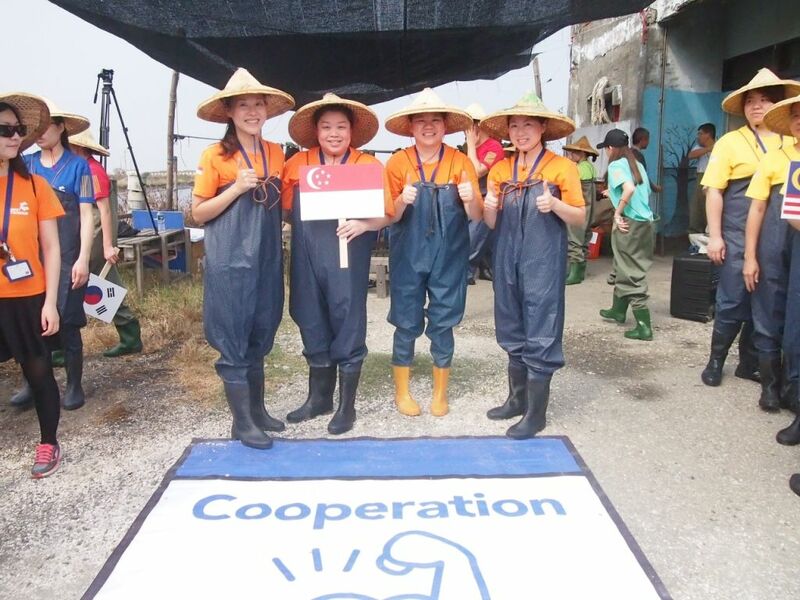 It was super exciting as the judges counted the number of fish caught and clams gathered! A massive lunch followed. Actually, every single meal was massive. We were so stuffed and so spoilt every meal! 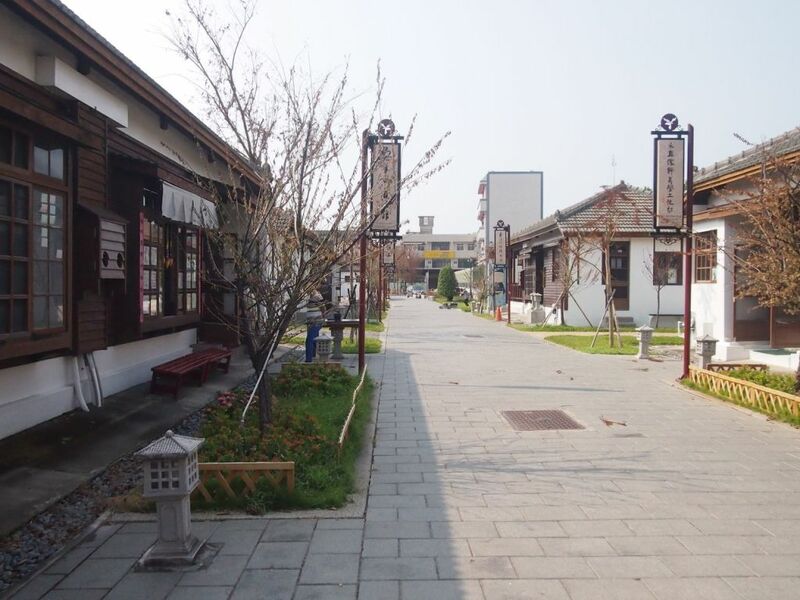 A five minute bus ride brought us to Lukang Osmanthus Alley Artist Village. 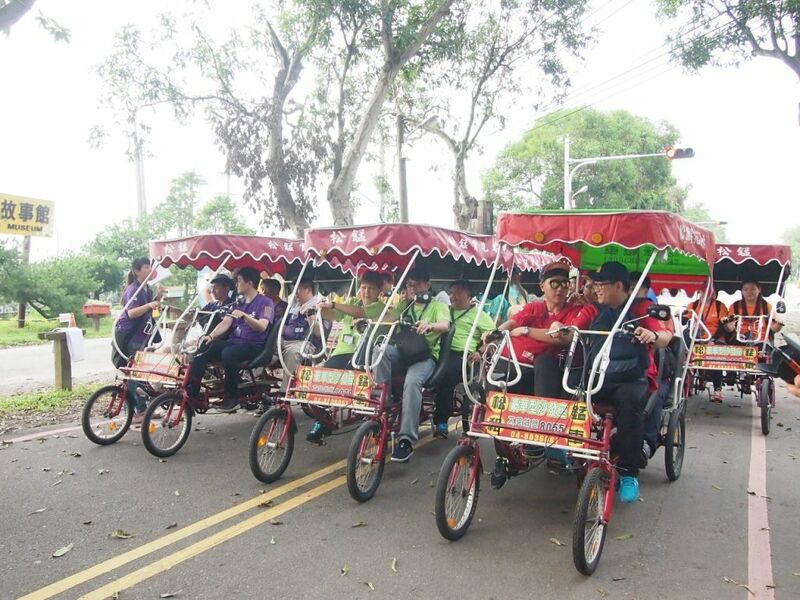 The participants sat through a history lesson in mandarin and with the help of their translators, learnt all about the history of the village. Their attention, ability to remember and reaction times were then put to a test. 10 questions were asked and the fastest team to hit the buzzer gets to answer the question and score points. 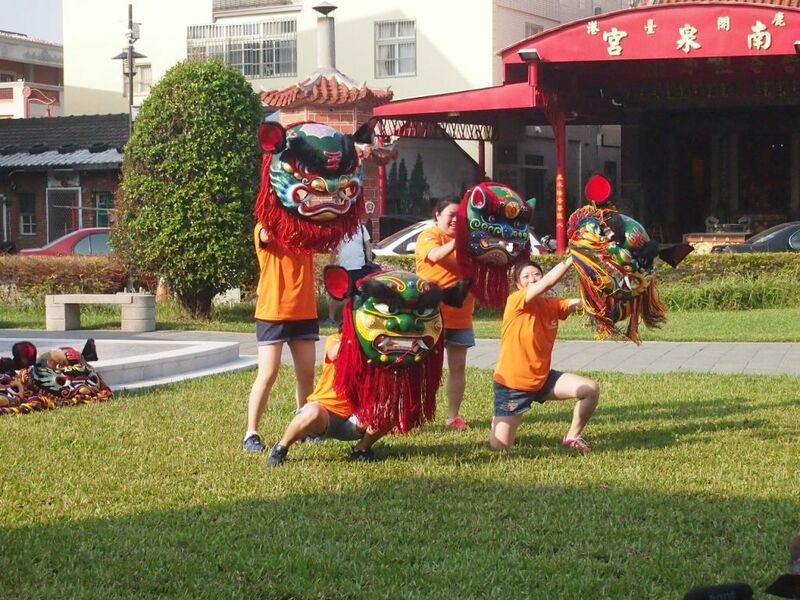 After an adrenaline pumping segment, the participants were led to a room which housed lion dance equipments. 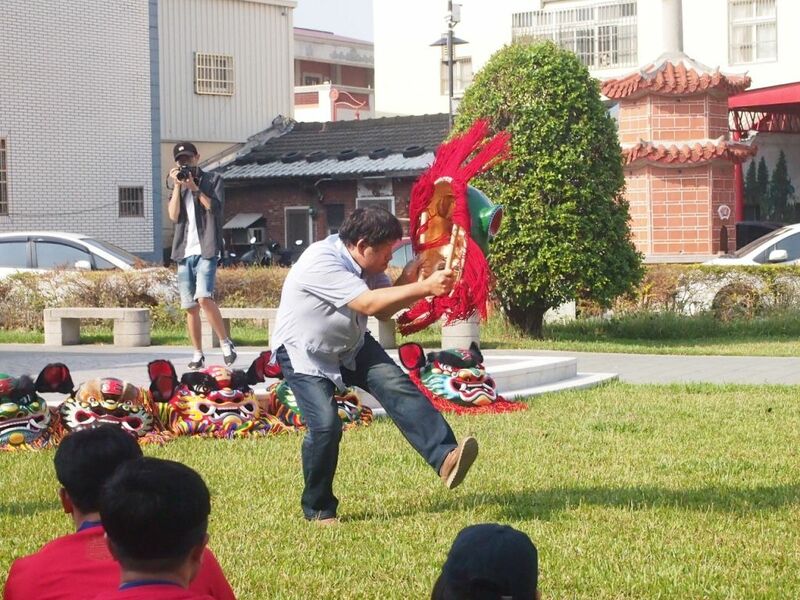 They were shown simple moves of a lion dance routine and asked to come up with their very own routine. It was such a treat to see the various performances! The participants were so spontaneous and enthusiastic! The day ended soon and we took the high speed rail back to Taipei. 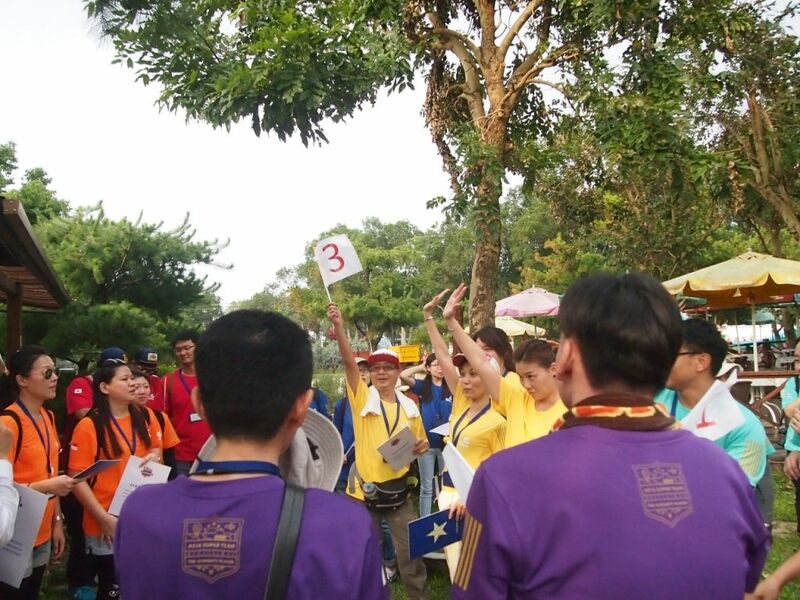 The third and final day started with a mystery competition in the morning. The media crew had no idea what went on as we weren't allowed to be present. It turned out that the participants went through a room escape game! 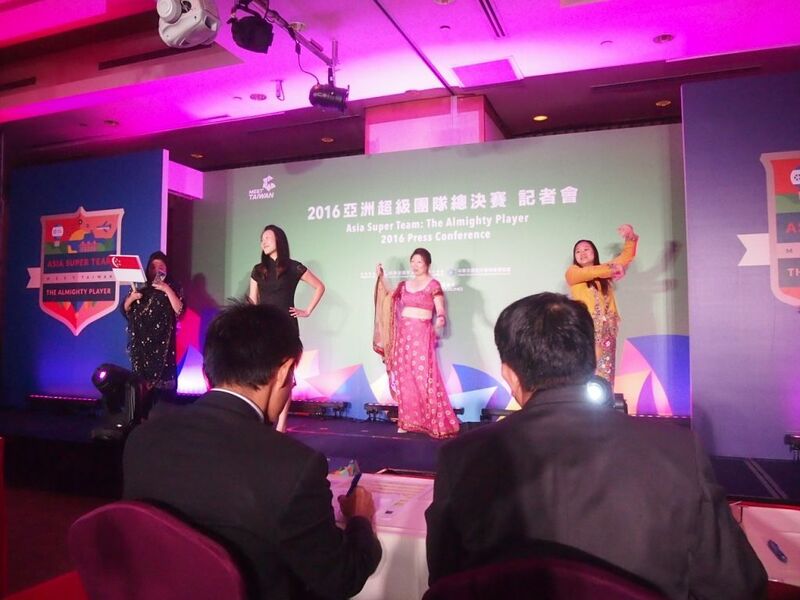 At the final press conference, the participants decked themselves out in outfits that carried both corporate and cultural features and put up a quick dance performance. 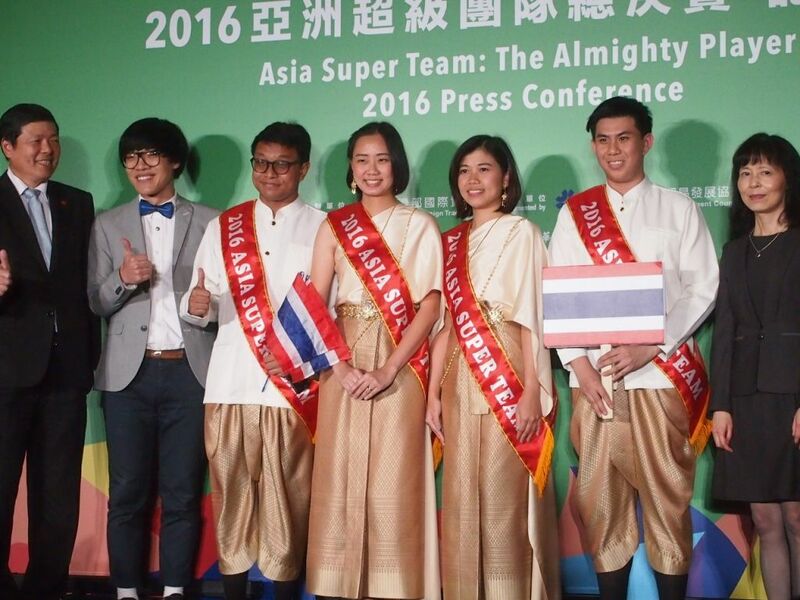 The team representing Pathum Thani Brewery Co. Ltd from Thailand has been a strong contender for the title from the very beginning. The team scored high points in every competition and eventually emerged as the champions. 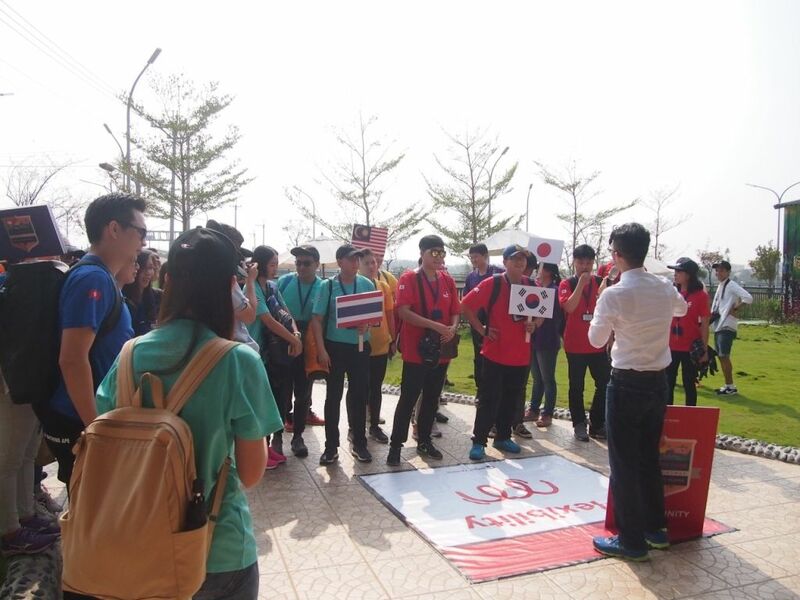 Their prize was a whopping travel package worth NT$1.5million or $50,000USD. 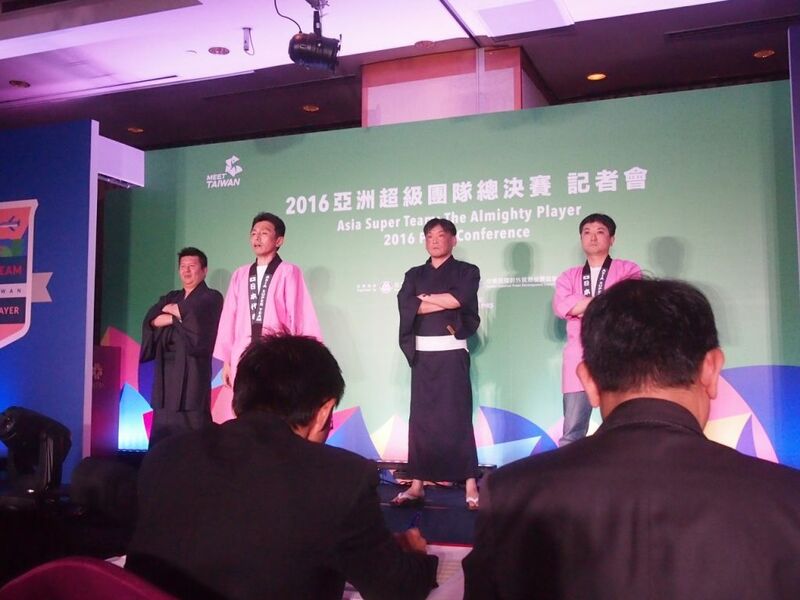 The press conference was graced by Crowd Lu, the Asia Super Team ambassador who wrote the original and catchy song for MEET TAIWAN. He serenaded the audience with his melodious voice and managed to get the whole crowd singing along with him. 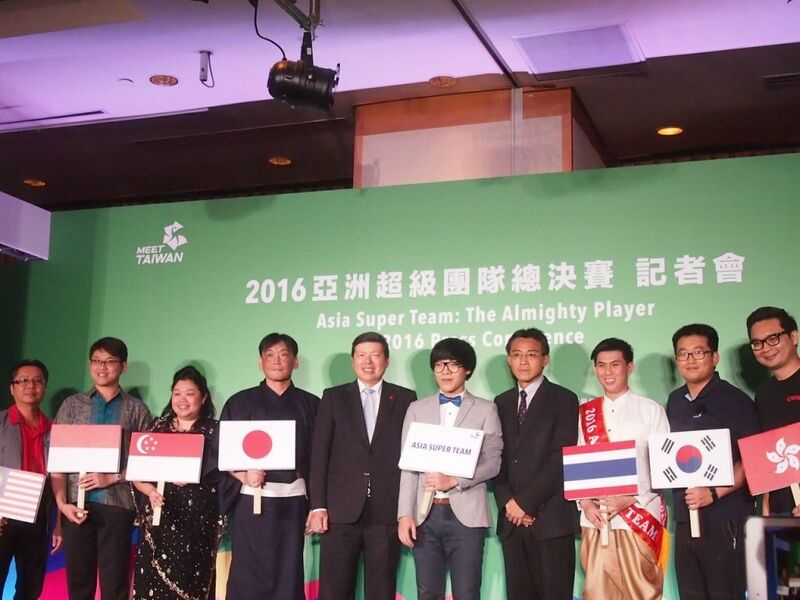 The Asia Super Team competition came to a close after a celebratory dinner. The entire event was very well-planned and the organizers were really professional and efficient. We were always on schedule and the activities were unexpected, mind-blowing and beyond interesting! 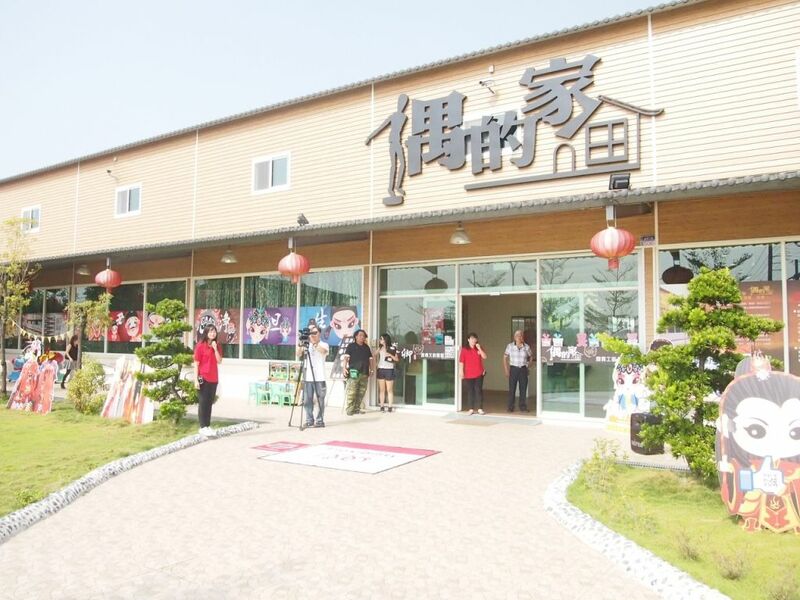 This trip really opened up my eyes to the vast possibilities of MICE tourism in Taiwan! 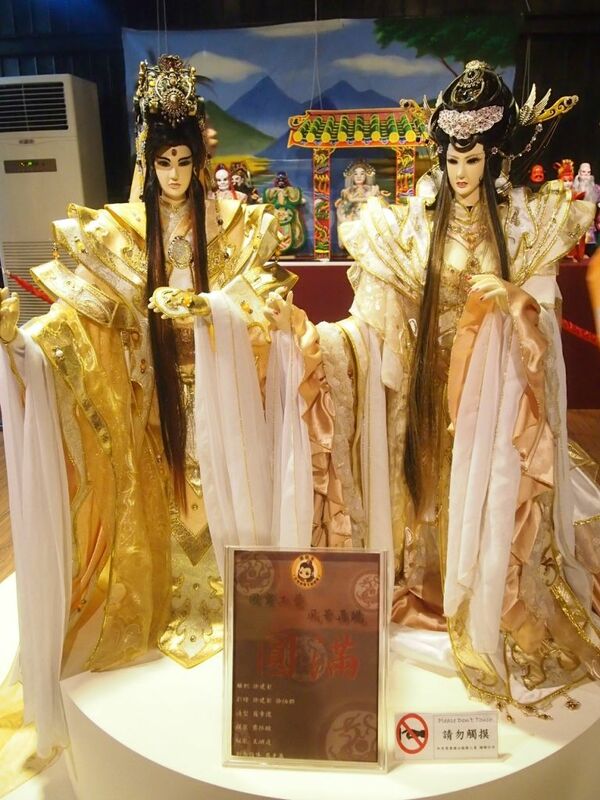 There is really so much more to Taiwan than just good food, scenic views and great shopping!